Nativity Scene with Fish. 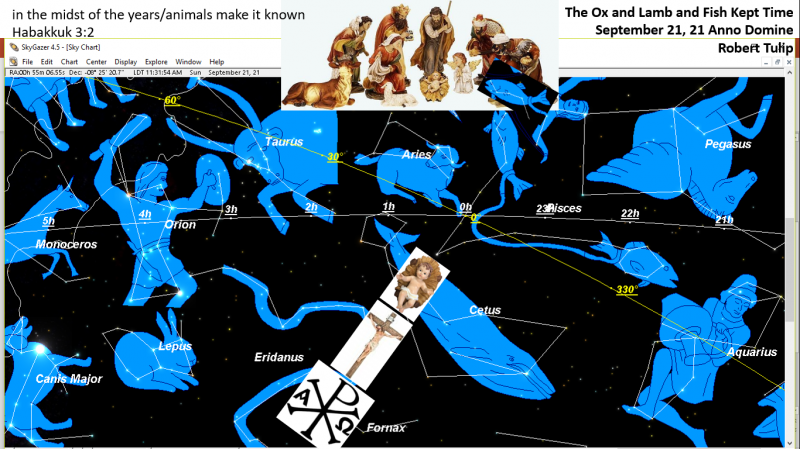 Talking with my friend Pier Tulip (no relation), we discussed this symbolic adaptation from The Little Drummer Boy - The Ox and Lamb and Fish kept time - seeing baby Jesus in the belly of the whale, at the moment the equinox precessed from Aries into Pisces nearly 2000 years ago. This comes from the prophet Habakkuk, whose line "in the midst of the years make it known" was misread by pseudo Matthew as "in the midst of the animals make it known"
lina2000 has used the post above to circulate spam links. I suggest deletion and banning.